Happy Back to the Future (Part 2) Day! 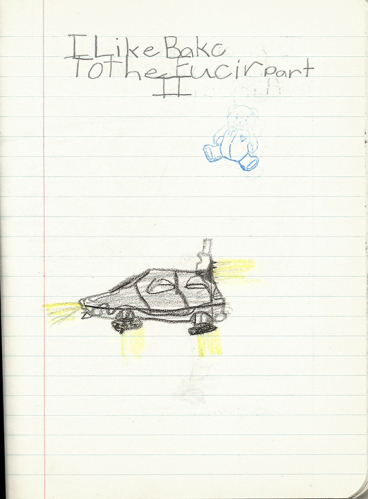 Early fan-art by the author. As true today as it was in 1991! Well folks, as of 4:29PM (Pacific!) today, every moment of the Back to the Future trilogy is officially set in our past. The franchise is a huge cultural milestone, particularly for anyone born circa 1980 or after. Was it because of the incredible, DeLorean-based time machine? Michael J. Fox’s oozing coolness? The nearly perfect screenplay and performances of the first film? The adrenaline-inducing score by Alan Silvestri? Maybe, maybe. But maybe part of the film’s lasting appeal has to do with something deeper. Maybe it’s because deep down, we all like the idea of being able to go back and see what our hometowns were like 30 or 100 years ago. Maybe we all want to see what it would have been like to interact with our parents or great-great-grand parents in the same place where we currently live. Not to mention being able to see other places the way they were before our time. Maybe it’s because a tangible link to the past is such a powerful, human thing, that’s hard to quantify but there all the same. 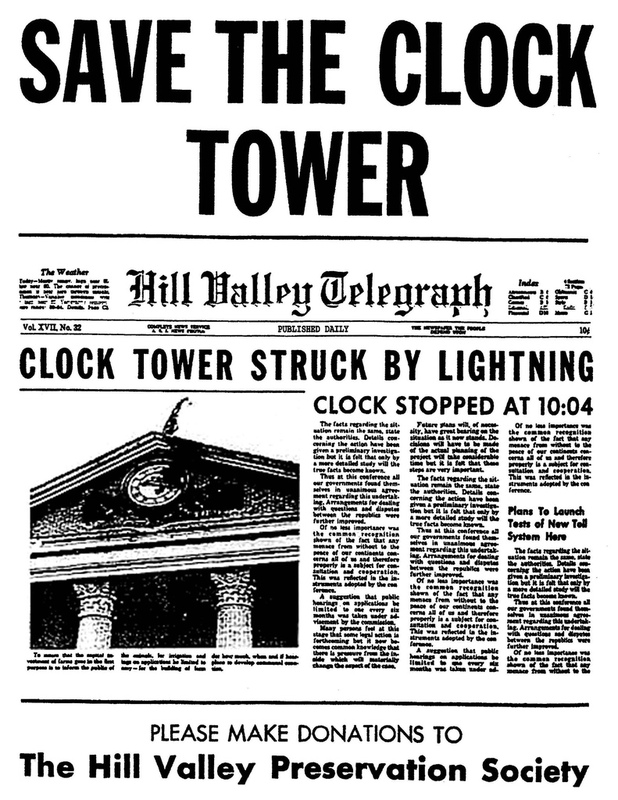 Look, I’m not saying that Back to the Future is secretly a propaganda film for cultural resource management and preservation, but I will let the Hill Valley Telegraph / Hill Valley Preservation Society heavily imply that for me. Marty even contributed to the cause! And he’s the coolest! We might not all get the chance to travel back in time in Doctor Emmet L. Brown’s DeLorean time machine, but we can all work together to preserve our past and keep that link alive. 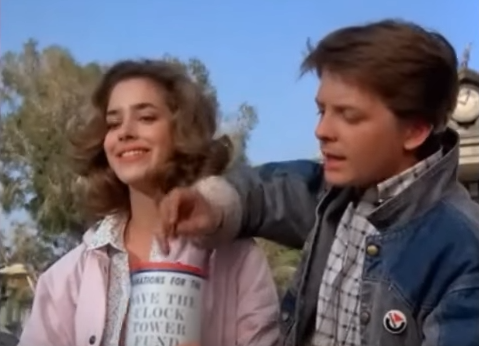 Fact: Getting involved in preservation and placemaking is as cool as denim jackets, skateboarding, and DeLoreans. I love maps. 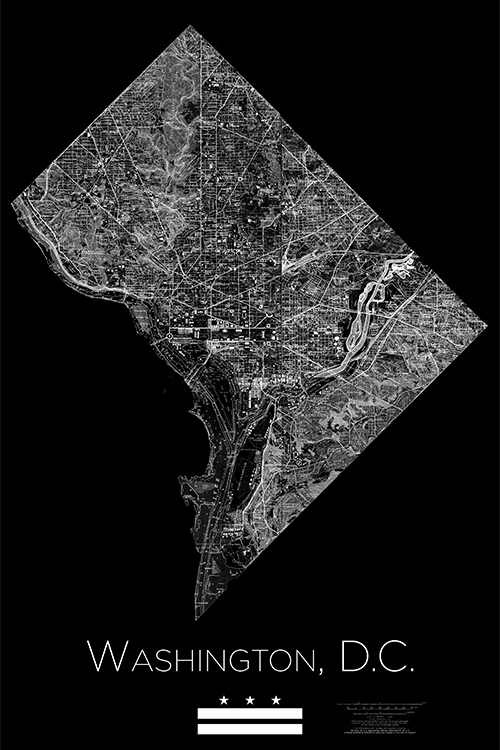 One of my favorite parts of graduate school was the amount of time that I got to spend interacting with maps of all kinds. From little old hand-drawn 18th century maps, to huge interactive digital maps and everything in between. 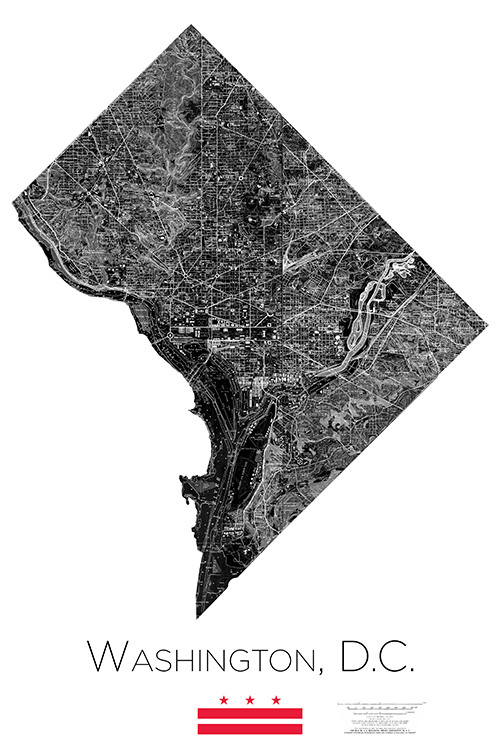 One of the most interesting kinds of maps to me was the USGS Quadrangle Map. These maps, which go back through time for decades, are remarkably detailed, and cover the entire country, showing roads, topography, and some structures. They’re really great, and you can download high-quality PDFs of them, for free, (or buy large prints for much less than it would cost you to print them yourself unless you own a plotter) from USGS’s Map Locator & Downloader, because they’re a wonderful agency. While walking through Georgetown yesterday, I did something that I have done numerous times in the past two years—I walked past the Halcyon House. Typically I pass by it on Prospect street and either continue on that road, or sometimes I turn to go down towards the river via 34th Street. But today, I did something different. Yesterday, I really looked. I often find myself looking at the places around me, digesting visual input about what makes those places unique. However, in all of my looking at this particular building, it’s history had never been so apparent as it was today. Maybe it was the cloudless bright summer sky that illuminated the east elevation so well, but in plain view, I could see at least three distinct building periods betrayed to my eye by the masonry. Inspired by so many posts on blogs like Preservation in Pink, I decided to take a photo and share it here, because I just thought it was too good of an example of how much information we can learn from our surroundings—and in particular, our historic buildings—if we just open our eyes! Please note that I decided not to research the actual building progression history for now, so that I could just be reading the building based on visual evidence.